Ever since the introduction of multi-level windows in The Sims during my teenage years (don't judge) I've been quite taken by the idea of decorating across multiple floors within the same room. Not many houses give you the opportunity to remove large sections of the walls and floor, so in those rare cases where it's possible it looks really interesting. 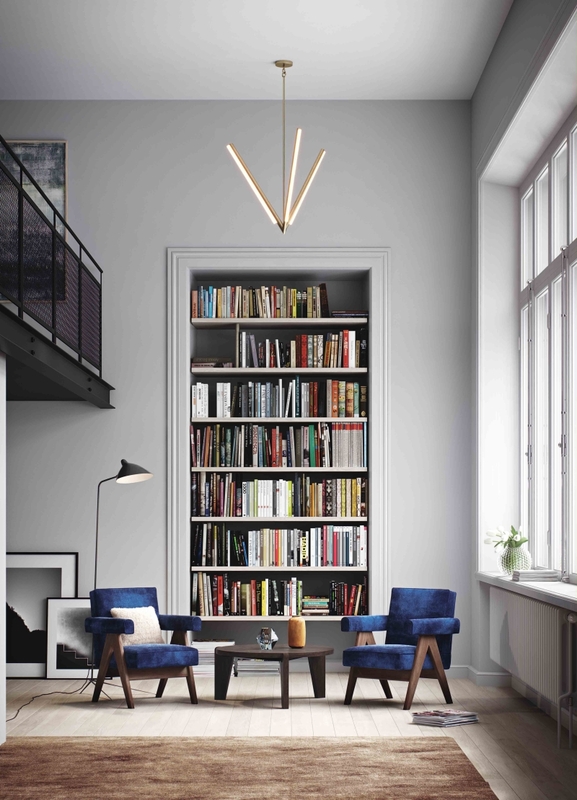 Using ideas like extra tall bookshelves, trailing plants or large pieces of art allows you to blur the boundary between each level, which (I think) makes the room feel more spacious. Opening up the room doesn't actually give you extra space to live in - if anything the floorplan is smaller than if you went with a conventional layout, since you've lost some of the floor on the upper level - but the extra vertical space makes everything feel open and airy. For someone who has neither the time nor inclination to read books, I adore bookshelves. Crammed full of books I've never read and have no intention of reading. This tall one reminds me of a library - you'd need one of those ladders on castors to reach the top shelves. I can't decide whether that makes it really cool or totally impractical. 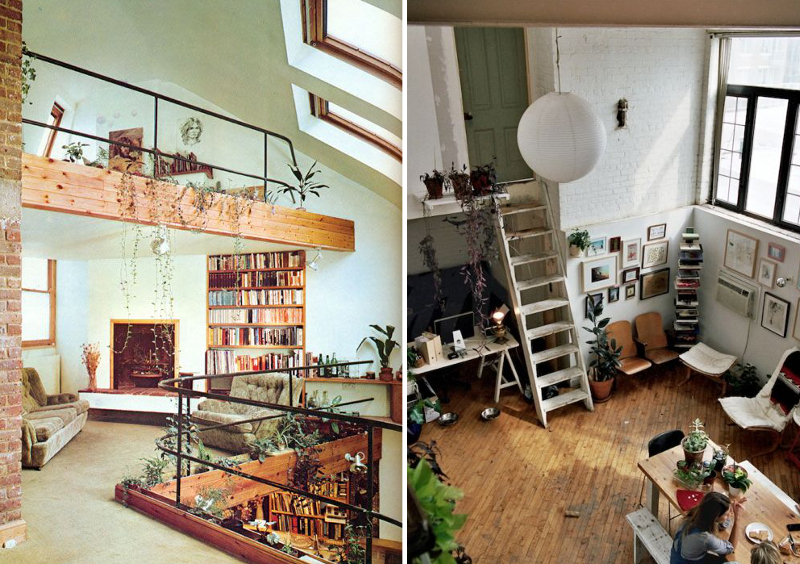 This one on the left seems like quite a complicated layout for everyday living, but I think I could deal with none of my rooms having connecting doors if it meant I could take in THREE floors from my desk on the top level. The plants cascading down are really pretty, though I think I'd go for something with bigger leaves than this - those thin vines are a bit wispy. This secret room on the right is pretty cool. I love how the hanging plants and wooden staircase conceal a little office nook underneath. Two hidden rooms in one! The two wooden staircases make this a really interesting space. 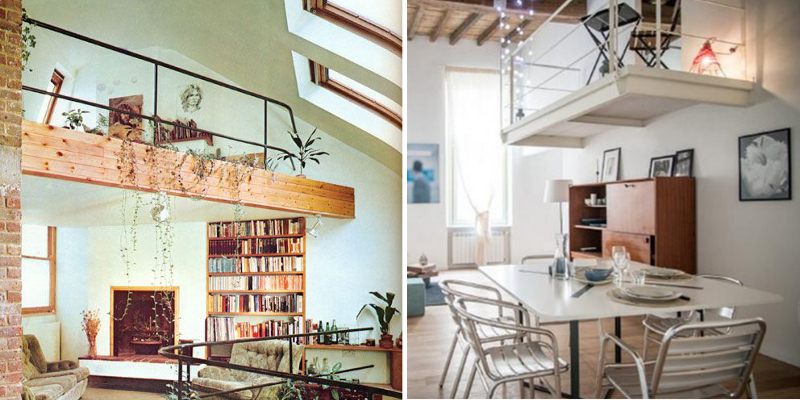 Structural oddities like these can make decorating a bit of a pain, but they do at least force you to think creatively when planning the space. Those massive windows must throw a lot of light onto the balcony, which I guess would otherwise be a bit dark. This is a sweet idea, although I do question the practicality of having a single chair and table up on that platform. What are you likely to do up there, besides have the occasional morning coffee? Can you see out the window from that height, or are you just staring at the wooden rafters? Personally I'd be more likely to put my desk and laptop up there - it would be a nice, open space for writing, as well as making sure that the area actually gets some use! I found so many cool rooms when researching that I couldn't fit them all into one post. If you're interested in seeing some more, you can find them on the Pinterest board below. Follow Lucy Meek | Decorenvy's board Split Level on Pinterest.